Jerusalemites Prepare for Snow and Some Dream of Warm Tel Aviv Beaches. 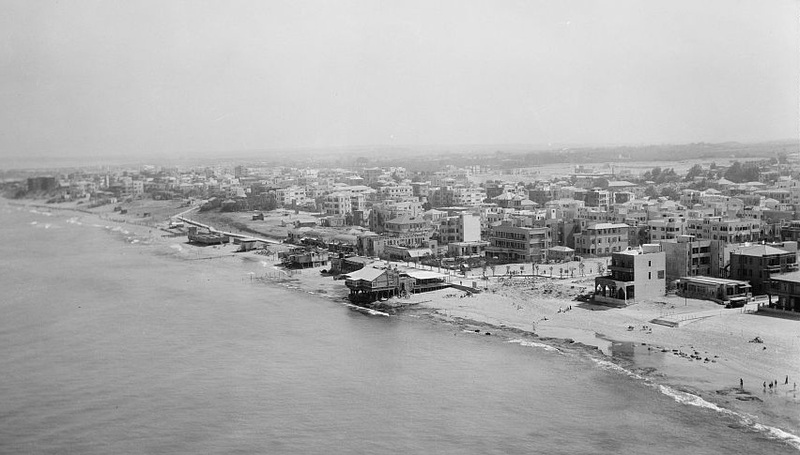 Jews moved north from Jaffa 100 years ago, leveled the sand dunes, and established the city of Tel Aviv. 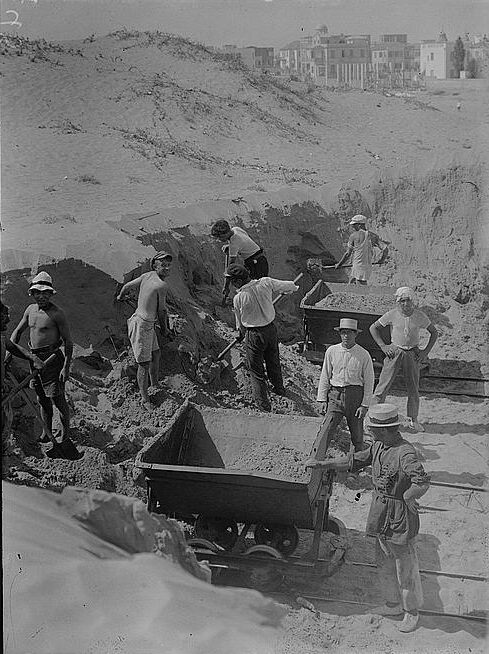 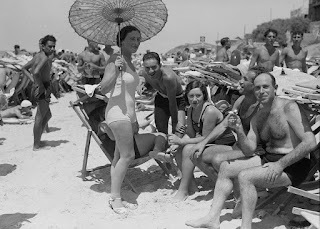 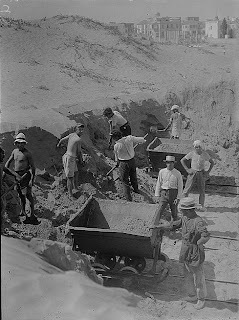 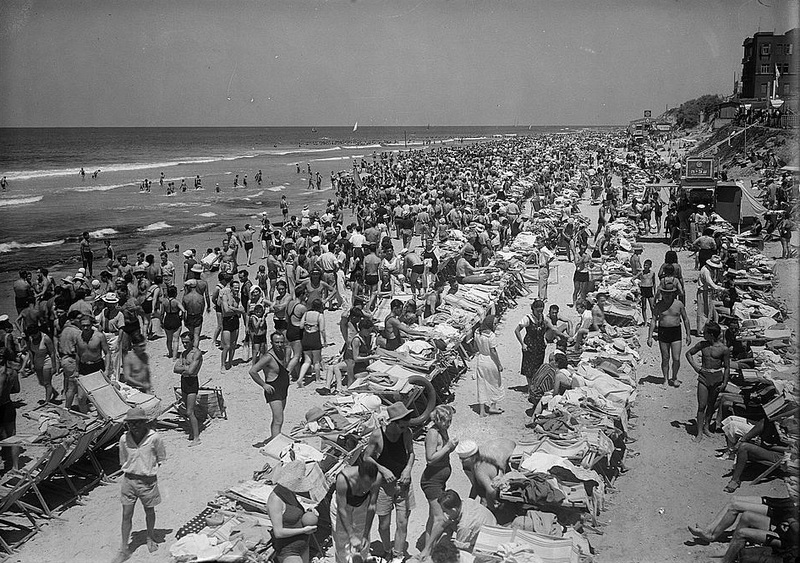 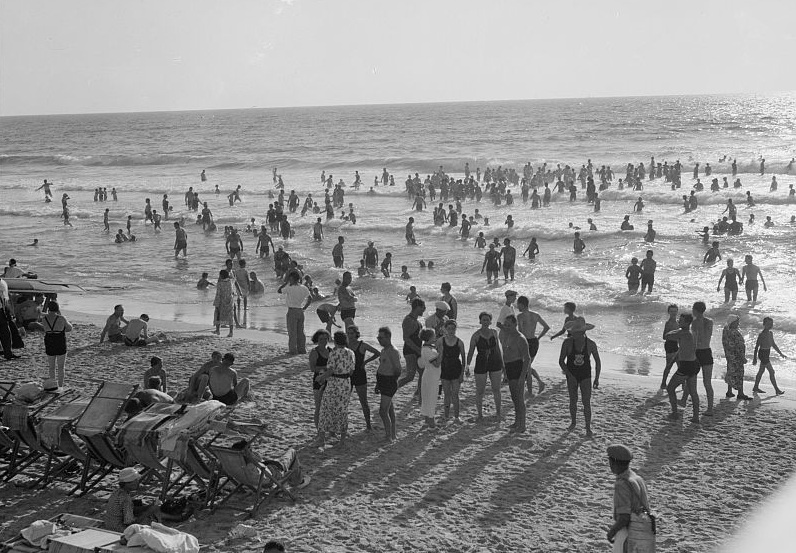 Few suspected that they were also laying the foundation for a Jewish version of the Riviera, but within two decades, the beaches were a very popular destination, as the American Colony photographers recorded.